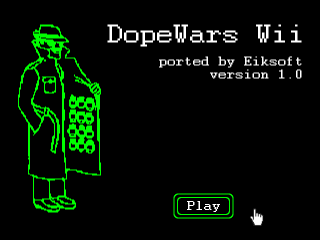 DopeWars Wii & PC Released! Welcome to Eiksoft. We are an independent software development company that has been producing quality games and applications since early 2002. 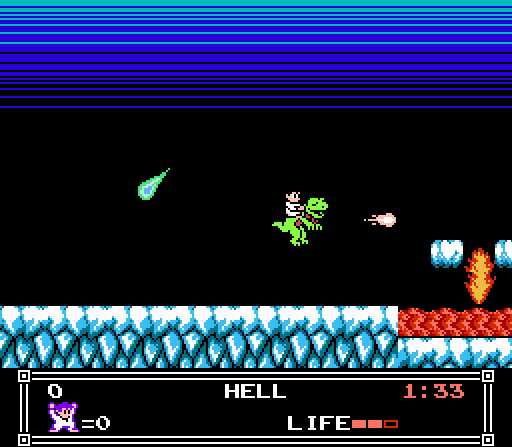 Our primary focus is on crafting retro styled 2D games that rekindle fond memories from the golden age of gaming. You will find more than a few remakes here, like Mario Dash, which puts a new spin on the Nintendo classic. It expands the experience by allowing you to create and share your own levels with the included editor, and even design new game graphics! There are also many original releases to enjoy. Be sure to check out Protogem, it's a unique puzzle game that features design elements found no where else. All software we have released is donationware. You are free to copy and distribute it in any way you see fit, all we ask is that you consider making a contribution in return. As an independent developer, we rely solely on your charity to continue operation. Please visit the support section for more information. DopeWars for Wii and PC released! The full version of Protogem has been released for free! Maverick Star demo is released! Mario Dash version 1.5 released! Ironsword: Skull and Bones is released!